Kelly Jo My daughter was diagnosed with narcolepsy at age 10 after being hospitalized for seizures at 9 months and stricken with Bell’s Palsey at 2. She also had pneumonia twice, multiple ear infections and partial deafness. She’s the only one of my children to have received a flu shot. Jesse Daddo All 3 of mine have or had some form of development issues. The youngest has autism and PANS. Kelly Marr Mazza My daughter stopped breathing after her vaccination. Thank God I didn’t put her down for her nap that day! I was standing right next to her & picked her up and started pounding on her back because I thought she was choking. Laura Ballegeer MMR shot at 18 months of age over 20 years ago. 107 temp visit to ER with a spinal tap and roseola rash. They said it was normal.. My daughter didn’t speak again for years. Years and years of struggle and therapy and Dr’s. My 23 yr old daughter had an IQ of 3-5 yr old and can never be alone. 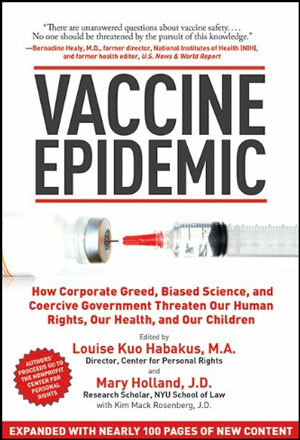 My heart goes out to all victim and their families of vaccine injuries.. It’s just not worth it.. Give us chicken pox, measles etc.. I had it all as a kid and I survived and so did the majority or people.. The explosion of autism and special needs kids has exploded with the increase of vaccines.. I pray people wake up and stop following the propaganda and do your own research. Steve Smith Both my children (now adults) suffered repeated infections and illnesses during childhood including strep throat, ear infections, allergies, colds/flu. Joann Ciccone-fariello I have children who are vacinne injured and also grandchildren. I myself and sister have severe eczema since childhood. 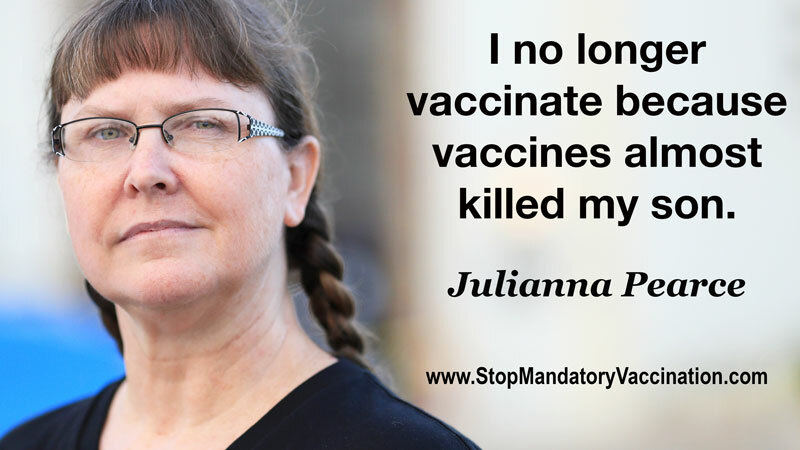 Sara Autumn-Breeze Smith My two year old has never received a vax because my 6year old brother DIED of meningitis within a few days of receiving a vaccine for it. That’s our story, it’s short, but it’s #truth He shouldn’t have received it….he had an immune deficiency already, it was just too much. This is exactly why they shouldn’t force anything! Everyone reacts differently. Tana Jackson My son who is now 17 was four weeks premature and they gave him the hep B shot. He stopped breathing they saved him! But he had to be in an incubator for 15 days. Came home on a heart monitor and he had sleep apnea. Later found out that sleep apnea is a repercussion from the hep B shot. He is still always sick and unhealthy. Stephanie Byers Ticks are a vaccine injury?? My husband has a tick. He already blames his stupid annual army flu shot for his severe allergies. He’ll be just delighted when I share this with him. 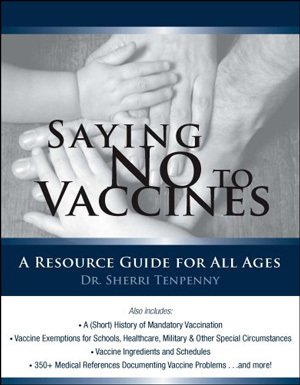 Penny Nelson-Montigny In 1992 my 15 month old daughter had MMR and HIB and one other shot. Developed measles from the shot, strange looking stools, then within 2 weeks had swelling joints out of the blue sky. After taking her to 10 different doctors who said 10 different things (one doctor suggested her toes were swelled because of some powder I must have used on her feet-even though only 5 out of 10 toes were swelled)-we took her to Boston Childrens’ and had a diagnoses of Juvenile Rheumatoid Arthritis. The head of rheumatology agreed with me when I said it had to be from the MMR vaccine. The whole waiting room was full of kids the same age with swollen joints after MMR vaccine. Lola Theodora My bubbly bright daughter after MMR at 18 months became silent, broody n developed full on severe Autism. A friend I met years ago told me her daughter became quadriplegic within 2 days of her MMR and never recovered. Growing up I only knew in my primary school one child who had mild disability. Today there is a Special Needs Primary School n Secondary school in my area which combined have nearly ONE THOUSAND STUDENTS catering for our neighbourhood districts. I did volunteer work at the secondary school of about Six Hundred students n my heart broke for them n their parents. Some were like zombies with empty expressionless faces just walking around. Could not take it n stopped going. Dawn Luehrs I got an H1N1 vaccine when 16 weeks pregnant w/ fraternal twins in 2009. Within days, I had edema. 1 week after vaccination, I went into labor & both membranes ruptured (pPROM). 2 weeks after vaccination, the first twin was born. 6 weeks after vaccination, the second twin was born. Neither of my twins were born mature enough to survive outside my womb. In Nov ’12, when my youngest son was 22 months old, 2 children were vaccinated w/ the flu mist on their way to our Friday morning playdate. After playing for a couple of hours, their mother mentioned it to the rest of the mothers at the playdate. That evening, my son developed a fever. He sat at about 102 temp for 3 days. Slowly, over time on Monday his condition degraded & I drew him a dose of fever reducer, with the intention to give it to him about half an hour before bedtime. 15 minutes before bedtime, his fever spiked suddenly & he had a febrile seizure. The seizure broke his spiking fever & it went back down to 102 or below. Over the next few days, he recovered. His illness was attributed to the playmates shedding live flu virus from the flu mist vaccine. Courtney Smellink I myself had a reaction as a teen, developed photosensitivity (in other words an allergic response to sunlight..Urgh) My son had a reaction to his second dtap vaccine, he developed a milk protein allergy from it. Candice Smith Only my son is. He will be 5 tomorrow. He is on the autism spectrum. He is very high functioning and smart for his age. A building prodigy. I knew something was off from around 18 months (shortly after receiving his last shots). He was not learning new words, had regression with communication gestures, etc. Was a little detached from the world. Tara Last-albrecht My 19 month old has a gene mutation & consequently when she was vaccinated had a reaction to the mmr. She was sick for months on end! Rolanda Lee Mullis My almost 15 yr old son is vaccine-injured with autism. He was advanced with everything, especially his verbal skills. Once he received his vaccines at 15 mths of MMR, DTaP, Polio, etc, he started having febrile seizures. With every seizure, he went backwards 2 mths. He lost all words, except 3, all potty training, etc. It broke my heart!! He is now diagnosed with epilepsy along with his high functioning autism/asperger’s. Granted through years of speech therapy 3 times a week and my mom and I doing it at home 3 times a day, he’s now verbal. There’s still times when he gets overexcited and you can’t understand him. The last shot he had was against my will and a doctor’s orders by his dad. That was the beginning of hell for him and my family again! He became extremely violent and defiant to the point of assaulting me and anyone else that was near by him. It got so bad with the bruises at school that I attempted to admit him for inpatient treatment. Please I beg you don’t vaccinate your child! 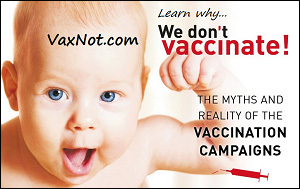 I now have a 2 yr old son, vax-free, that is very healthy! Beth Noelle We are! My daughter was hospitalized after half the flu shot years ago when she was 4. She was diagnosed with GuillainBS but thankfully recovered with help of a chiro, homeopath, and naturopath. She also had a reaction at 1 to the MMR where her eyes swelled shut for days and the dr told us it was normal. Denise Frampton Son had developed perfectly normal until 2nd year visit (shortly after 2nd birthday) with MMR and Dtap shots. Language stopped and all previously learned skills such as holding a fork and kicking a ball were lost. During routine blood work with a new pediatrician found out son was/is allergic to egg whites. Daughter had newborn Hib shot and vit. K for fear of being reported to CPS on lack of vaccination i.e. child endangerment. Now has severe food allergies to chicken, milk, eggs (both yolk and whites), and chocolate. Never again will I sign for my children to have these poisons put in their bodies. Nora Linehan-Daly my two kids were injured, both had severe colic their first year, my son had 25 ear infections one after the other, two surguries for tubes, had to have surgury for aetnoids, my daughter had severe food and medicine allergies was hospitalized and was unconscious so many times had to call 911, i, as an adult have fibromyalgia, digestive issues and allergies to food and medicine after the mmr vaccine, my sister had five miscarriages, has fibromyalgia, lupus, ibs and so much more from the Dtap and mmr and my nephew has autism its been rough for us all. Angela Hemphill I have 2 vaccine injured children because I trusted the doctors to much. One is worse off than the other. I am now a permanent stay at home mom because of it. 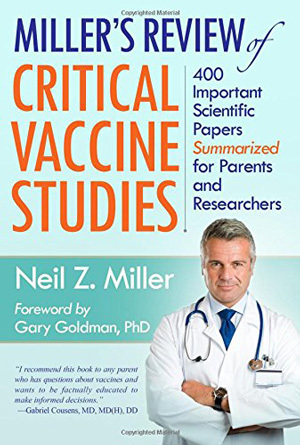 The doctors refuse to admit they had vaccine reactions, and I was to naive to contest them. I stopped vaccination completely. My children are considered almost up-to-date on shots, 10 year old and 17 year old, boys. Nora Huntington-Rodriguez My 1st born had 26 double and single ear infections by the time he was 24 months old. Was on antibiotics all the time. He also suffered severe asthma and was hospitalized sometimes twice a week. My second born would scream at the top of his lungs for hours. Especially at night until he was about 8 months old. He had a temp of 104 and was larthargic.. He would have constant rashes and stomach pain. ONLY when I stopped vaccinating did I see a change in both children. Beth Love Nine month old went into respiratory distress and was rushed to ER 5 hours after receiving a flu shot. She was up to date until that point. Was sick for 10 days after. No long term affects as far as I can tell. She is 9 years old now, gate program, 2 grades ahead in reading and writing and on par for every other academic category. I attribute that to a) breastfeeding exclusively for the first year and b) stopping vaccines completely. She is also rarely sick. Gets a mild cold about once a year. No chronic illness, no rashes, eczema, psoriasis, stomach issues, etc. No vaccines since 9 months. I should add, I went on to become a nurse after taking the no-vax stance and continue to stand by it even after my medical education (and because of it). Cricket Grein My youngest developed Polyarticular Juvenile Rheumatoid Arthritis at 5 yo. My middle child has hashimotos, and my oldest has crohns. None of them should have ever been vaccinated because they are all at least hetro for c677t mthfr. The youngest is homozygous, different father. 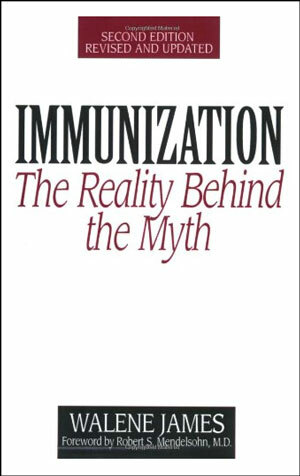 Cynthia Wolff In 1990 my two year old twin boys had their MMR & other vaccines. Shortly thereafter one twin stopped speaking & wouldn’t respond when spoken to. Communicated by grunting & pointing at what he wanted. Took him back to the pediatrician who said it was nothing to worry about as long as he started speaking again by age four. Also both twins had chronic ear infections requiring daily antibiotics for a year & speech therapy in kindergarten. The one who lost his speech did regain it but has trouble maintaining eye contact since. 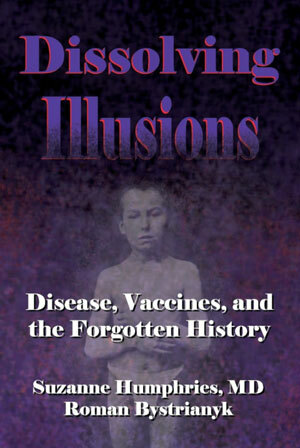 I had no inkling vaccines could cause such harm & was given nothing but the run around by their doctors. Bianca Witherspoon-Castillo My son was mildly injured and recovered. Hep A shot gave him a big hard knot on his and some swelling. Don’t remember if it was red or not but it took 2 months of hell for it to go away just like the pamphlet said would happen. This was when I had just started waking up. I did not want to continue vaccinating. Scarlet Howell As a baby I had a severely high fever reaction to the pertussis vaccine. To the point where the hospital had to put me on ice. I also suffered from staring seizures at 2, and they never figured out why. My mom stopped vaccines and I still to this day don’t receive them. Lynette Kennedy OMG you poor parents you should NEVER have had to go through any of this with your children…. I have nothing to report on my 7 kids, nor my 10 grand children or 2 great grand children (born at home) because they are all unvaccinated, healthy and normal without anything, no Sid’s, no autism, no allergies etc. ….. zilch – nothing. but I am fighting for their future and for all the dead and damaged babies/kids, I have watched the social engineering take place over the decades and the serious decline in children’s health. They have now swapped a week of measles, mumps etc. for life long autism. Irena Stepanova I do. My son was born healthy, but he has two disabilities now. Qualified for SSI without so much as a health exam… And I still have friends and family who vaccinated their babies because they apparently think something is wrong with me. Well, it is. Was. I trusted doctors…. 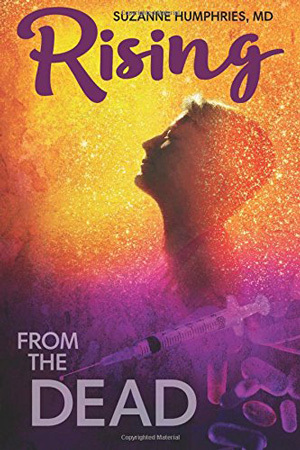 Anna Maus My daughter had what most healthcare professionals would consider a “mild” reaction, or as some like to call it, “normal.” When you see your child suffering more than they ever have before right after vaccines you know there’s nothing normal about it. 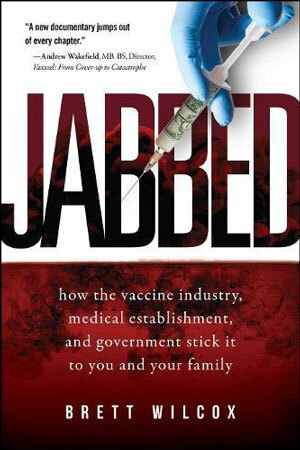 The question isn’t so much can you trust the vaccines, it’s can you trust the industry as a whole. And the truth is no, you can’t. Vicki Neal A huge majority of parents who don’t vaccinate came to that opinion after seeing their child have a reaction. 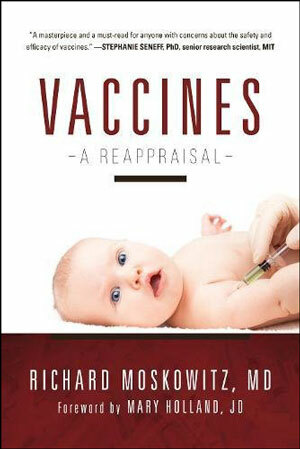 I saw that in 1970 when my 2 month old had a reaction almost immediately after her first vax. She is OK now but almost died. No internet back then! I can’t believe kids are still being hurt all these years later. Back then, I was sure that people would have wised up in a short time. Instead they have added so many more shots. Kailee Myers The MMR gave me encephalitis at the age of 15 months and my mom said it was like I was a completely different baby afterwards. I was almost non-verbal when I learned how to talk. I only talked to certain people at certain times. My mom was my teacher in pre-k and I would refuse to talk to her while at school because there were too many people. Later on I figured out that I have Aspergers, Tourette’s, and OCD. Mary Klink My 11 year old son who has Down syndrome was diagnosed with Austism after his MMR at age 6. He was healthy, happy and meeting his milestones. He was talking and just a happy boy until that day. He rapidly regressed and has never been the same. He is now 11. 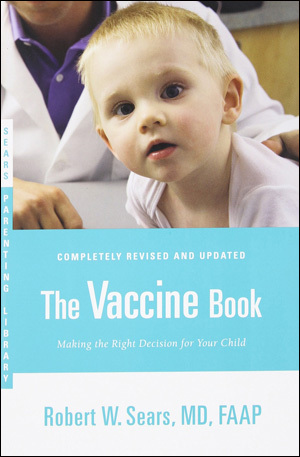 Vicki Kurup Wooledge I had only 1 vax at a time for my kids. 10 days after my son’s MMR at almost age 5, he woke up with garbled speech… I thought he had a stroke. I took him to every doctor I could find including Mayo Clinic specialists, and no one could help. Various doctors in the bunch asked when he’d had vaccines but never let on. Finally, after 4 months of no answers & no improvement (& doctors saying he’s doing this on purpose! 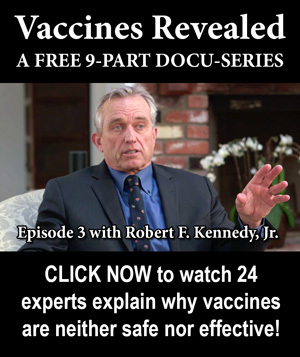 ), I took him to a holistic MD who said he’d seen this kind of thing….reaction to vaccines. Full detox & after the 2nd session, my son had 85% of his speech back! After the 3rd, he was back to 100%. We are one of the lucky ones who could reverse the damage. No one helps you of your child has a reaction. If he had measles, I’d have been able to have him treated. It makes no sense. Achillea Mahko My daughter daughter developed OCD, uncontrollable temper and eczema since her mom got all her shots behind my back at age 5. She’s one of the lucky ones in that her symptoms are relatively minor, probably due to the age she got her shots at. My friend’s fraternal twins (boy and girl) went from being way ahead of the developmental curve to full-blown, massively debilitated autism immediately following MMR at around a year old. Carreen Engelbrecht Wow, where to start… I could agree with most of the parents here. Just happy our eyes opened up and we stopped before our eldest was severely injured. He was ahead on all of his milestones and development, he sat up strongly unattended just before 4 months, but the 4 months shots is where things went really bad very fast, probably just built up from the ones before those. He started regressing with each shot up until 9 months. Eczema, his one eye started pulling inwards slightly, he barely slept (especially at night) up until just past 2 years of age, screaming and severely losing control over his emotions almost 24/7 (especially at night), “night terrors” for 3 months straight, speech delay, at the age of 3 years and 3 months, he still struggles to drink from a cup/glass (it’s like those muscle reflexes just aren’t developed and wont), he still loses control over his emotions which leads to hours and hours of heartbreaking crying sessions, he started walking a bit late, he was constantly so so so very sick, had terrible reflux and colic, a few days after his 4 months shots, he got sick and sicker and sicker and ended up in the hospital almost completely unable to breathe, doctors, nurses and physio therapist all said that they were amazed at how he was still able to breathe at all, he is an extremely fussy eater, still have skin issues related to the chicken pox vaccine (looks like it might be shingles that keeps flaring up), we have also suspected juvenile arthritis, still keeping an eye on it. These are only the ones i can think of now. Even i have severe allergies since i can remember and struggle with IBS at times and migraines. Wish we knew the truth earlier or could find an undo button and give our son the best chance in health that he deserves. It’s the most heartsore burden to live with. When he can talk better and understand better, i want to apologise to him AGAIN for the millionth time. He needs to know we are sorry, WE also need this too. It could have been so much worse if we continued. Wish someone told us during my first pregnancy to DO THE RESEARCH AND NEVER STOP! We needed to be awakened sooner. Alina Phoenix Both of my girls were nothing but sick from vaccines. When we were listening to the doctor and doing every vaccine, they had eczema, allergies, asthma, bowel issues, ear infections. It was a rare week we weren’t in the doctors office. There were creams, antibiotics, steroids, inhalers, nebulizers, a couple trips to the ER, a hospitalization. They were nothing but sick all the time. Then my nephew got encephalitis FROM his vaccines, lost all his language, potty training, developed seizures, and when the symptoms that started THAT DAY never went away, they diagnosed with autism. That is what woke me up. I stopped taking my kids to the doctor, no more vaccines for either one, and began the long and grueling road to recovery. 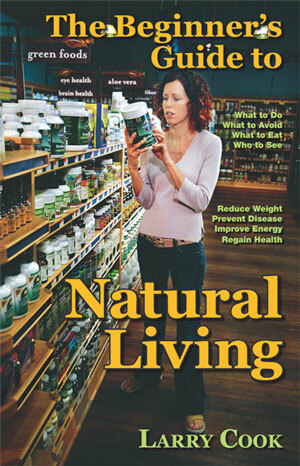 We went all organic in food, cleaning and personal care. We started chiropractic and to heal their guts. For now, they are healthier than they have ever been, although my youngest is showing signs of autoimmunity and we have to take her in for testing. 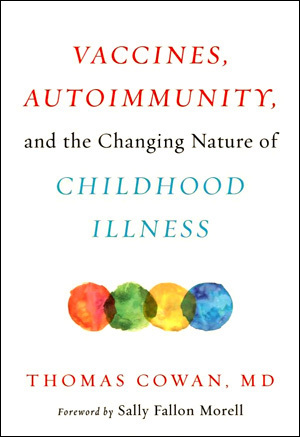 I’m autoimmune myself, still trying to figure out which flavor of autoimmunity it is, but it is severe. 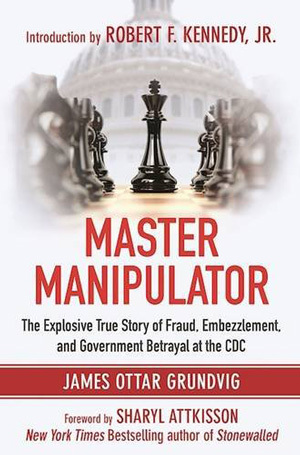 Vaccines were nothing but poison for my family and caused catastrophic harm. Jamie Pack Fricke My oldest son was vaccinated to one and a half on a delayed schedule and he stopped talking after he had his MMR. Now he suffers a speech delay and he had severe eczema that went away when we stopped vaccinating him. I was vaccine injured after having the Tdap vaccine after I had my son. A week after having the vaccine and giving birth I was rushed to the emergency room in pain all over my body. 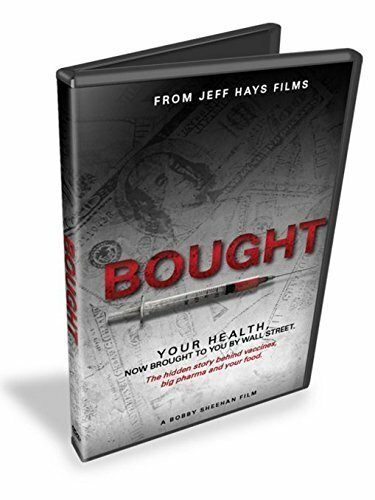 They couldn’t figure out what was going on and it took me over a year and a half until I was finally diagnosed with heavy metal toxicity, rheumatoid arthritis, fibromyalgia and chronic fatigue. All autoimmune diseases!!! 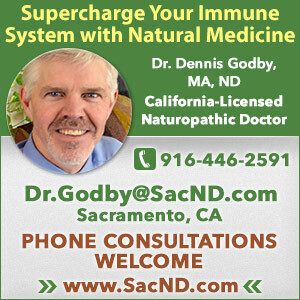 It was a naturopathic doctor and integrative medicine and a chiropractor that helped me heal my body. I’m still not 100%, but I’m a whole lot better than I was. I had zero symptoms before I had the vaccine and I never got sick in my life only about every 5 to 6 years and I would just get the 24 hour flu that was it. Now I’m having to start over and rebuild my whole immune system. I’m sick all the time and when I get sick it’s really bad. My sister in law also got the Tdap vaccine and within two days she was paralyzed from head to toe and couldn’t breathe on her own and was put on life support for 4 months. She was diagdiagnosed with GB syndrome and had to go through a whole year of physical therapy learning how to walk and move her arms again. Today she has to wear braces on her legs to walk, she has severe nerve damage and is in pain all the time. She’s only a couple years older than I am. Sasha Joy Amara My son at birth. Given Hep B. He wouldn’t latch on to nurse. Cried incessantly and wouldn’t sleep at night for a year. Patricia Gately Anderson Horrible reaction to hep b vaccine the day he was born. Born at 6:21 am, was doing amazing. Latching perfectly and looking at us when we talked to him. Hep b shot was given around 3 pm and he started crying about an hour later, loud painful cry that did not stop for over 10 hours. Would latch then pull away and cry. This I later found out was an encephalitis cry. I didn’t know and the nurses looked at each other with concern, but did nothing. I vaccinated on schedule. He did a similar cry at 2 months, but not as bad. Just over a year, I knew something was wrong. He didn’t seem to understand us. Diagnosed with PDD-NOS at 2, and later full autism at 4. I regret not knowing, and I’m disgusted with those that know but don’t care. And they do know. Stopped vaccines at 17 months, but he’d had 29 by then. Tammy Jean Martino Oldest son, now 23 yrs, was fully vaccinated, developed chronic ear infections. My girl, now 20 yrs was talking and doing great, her dad fully vaccinated her despite my protests and she went into an autism state about 18 months. My youngest, partially vaccinated, developed facial tics and rapid blinking after the dpt shot around middle school age. The hepatitis b vaccine triggered multiple sclerosis in me within weeks of the initial shot. Lis Manno My son stopped eating, stopped talking, stopped responding to his name, developed tics, sound/noise/touch sensitive from his 15 month’s vaccines. He was ahead of schedule in milestones before these shots. It is on his pediatricians chart. Diane Legato I am vaccine injured, went to work overseas had numerous vaccines, chronic inflammation, anxiety, the body pain is getting worse by the day, I have 5 vaccine injured grandchildren, autism, diabetes, asthma, eczema. My husband has been diagnosed with two cancers. Kim Owens Im vaccine injured. Developed ulcerative colitis shortly after Hep B for grad school. And have gotten sicker and sicker with each passing year. Better believe if I ever have kids I won’t be vaccinating. Halleigh Hill My daughter started having seizures, extreme lethargy after her very first round of vaccines at 4 months within in hours. She was a happy healthy baby before- we did an alternative schedule and did two at a time – my doctor told me her reaction was perfectly normal so we continued every 6 weeks and each time her seizures got worse – we finally stopped at 10 months – she had so many seizures when they finally stopped she was so lethargic she didn’t open her eyes for almost 3 days – she had delayed speech and signed until she was almost 2 – she is now very healthy and seizure free 3 year old. My son is 1 and has same reaction at 8 weeks – we decided to do one shot at a time. My kids are both MTHFR positive – I find most interesting is my daughter has chronic eczema and when she does pick up a bug she is prone to high fevers – my son on the other has had a cold once and that’s it. Joline Balmforth My son has Vaccine induced Autism, eye problems, eczema, situational Anxiety and so on. Had shots up to 18 months. Milla Ezman my daughter regressed into autism and developed allergies, after her 21st month shots. I recovered her with diet, no thanks to doctors. no more vaccines for us, no antibiotics, no SAD diet. Eva Higdon Charles I will add to my story that once I figured out that vaccines damaged his body and he was old enough to understand, I apologized to him for doing what I thought was keeping him healthy but instead messed up his body. I cried the whole time I explained and apologized. He said he forgave me. Lindy Keil Schultz I lost my son to ‘autism’ within a few days of his first MMR, HIB, DTP,polio shot at age 18 months. He lost what little speech he had left within a week after a tetanus shot at age 3. 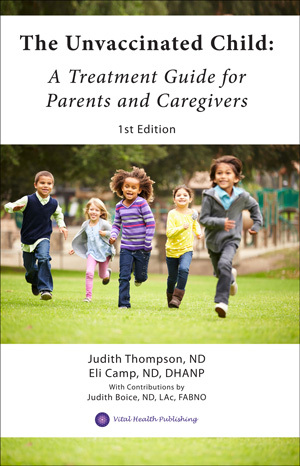 I did not make the connection until I met Dr. Bradstreet (in 1998) whose son reacted almost identically To MMR. He told me that 99.9% of the kids he saw with ‘autism’ were vaccine damaged. Leslie Ann Driver My son had an adverse reaction to the pertussis vaccine. Before it he was babbling and starting to roll over. He stopped after the shots and became non verbal except for crying. He is now almost 11 months old and can’t roll over, is non verbal, has gross motor delays and has a physical therapist and occupational therapist come each week. They say he’s at a 4 month level. He was 4 months when he got these shots. He also has some sensory issues. Saraliz Jimz My son kept getting sick they said is was a lung spot. But could not give me anything conclusive even after 3 days in the hospital. Then I was told he needed his adenoids taken out and tubes in his ears. I was referred to a chiropractor who told me to stop vaccinating and treated my son who was better after a week under her care. That was 4 years ago he hasn’t been sick like that again just little cold twice a year. He still has his adenoids and no tubes in his ears. Since we only go to doctor once a year to get forms signed because he hasn’t needed to go. Ashley Dore My son died 10 days after his 3rd set of vaccines at 5 months and 5 days old. His death was ruled undetermined after the coroner said he suspected vaccines but the county didn’t allow that as a cause. Heather Rose Scott Our son stopped speaking 2 days after his MMR vaccine. He was 2 and now is 4 and still in speech therapy. He is progressing well but it’s been horrifying. Went from speaking normally to not speaking at all for months then he was impossible to understand. Jenni Dill Right after my now six year olds shots at 2 yrs, she began having hours long night terrors every night. This lasted two years. She also began showing signs of sensory processing disorder (which is on the autism spectrum), but we didn’t realize that’s what it was until she was 4. She regressed in speech, although the doctor said it was normal, and just encouraged us to put her in speech class when she got into preschool. She also had loss of hearing for about a year – not total loss, but she just stopped being able to hear everything and was constantly saying “what’d you say? I can’t hear you!” Ear nose and throat doctor said her hearing was fine and she just had “selective hearing.” Her hearing returned to normal around age 4, interestingly enough around the time she finally stopped having night terrors every night. She has asthma, that began around age 2, chronic bronchiolitis – she gets this at least three or four times each cold season, and it turns into pneumonia almost every time. She has skin allergies and food aversions, and is six years old and weighs 35lb, can wear size 2T clothes with no problem. Now that I know what I know, I completely and entirely see the link between her two year shots and ALL of these problems. She was a healthy baby, so chubby and so happy. She has melt downs at least a dozen or more times a day when textures, routines, foods, lights, sounds, etc aren’t the way she expects them to be. Mary Maresco My 10 year old son got ulnar neuritis lasted 6 months from TDaP. The docs response was..”the next time we give it, we’ll put in the other arm and see. Dakota Capeheart My son ran an extremely high fever 12 months – 15 months vaccinations and even in between them. Was shortly after diagnosed with a tumor. Eva Higdon Charles My son’s eczema started after his first round of shots at 2 months old. We continued to vaccinate and he continued to get worse. At 3 years old I figured out that the shots were triggering his already hyper active immune system. We did find out in the following years he is allergic to foods including soy (Prevnar 13 contains soy protein) and peanuts (not sure which shots speficially contain peanut oil). We also found out that he has the MTHFR gene mutation which means his body can not detox the way other people can. We then spent two years getting him off of the topical steroids his body had become addicted to. Amanda Clarkson Talbert My oldest got sick following each set of shots. I was told it was many things “oh he probably just got a virus” “it’s just a coincidence” ” it’s bronchitis” “it’s bronchialitis” ” it might be adthma” “it’s just croup” so so many excuses. He also had constant ear infections and caught many virus’. Was sick all the time. Right before his 1st birthday he got the mmr and chicken pox vaccine. He had a reaction on his thigh a big ,raised, hard, bright red, perfect rectangle around the injection site. It was there for weeks again I was told its normal. He again was sick with high fevers and a cough but soon he started having night terrors very violent ones where we had to restrain him for his safety and ours, he stopped answering when we’d call his name we had to have his hearing checked several times because everyone thought he was going deaf, he could no longer communicate what he wanted which resulted in banging his head in frustration, couldn’t take him in public without meltdowns, suddenly the train going by and vacuuming would make him freak out….so many changes. He has aspergers I know it’s from his shots. My second son we spaced out his vaccines and started down the same path constant ear infections resulting in tubes twice, constant fevers, illnesses, asthma and he also has bahavior issues we are sorting out right now. Since stopping vaccines neither of them have asthma anymore nor have they had another ear infection. I have 2 unvaxed children also neither have asthma and only 1 has had an ear infection and only once.